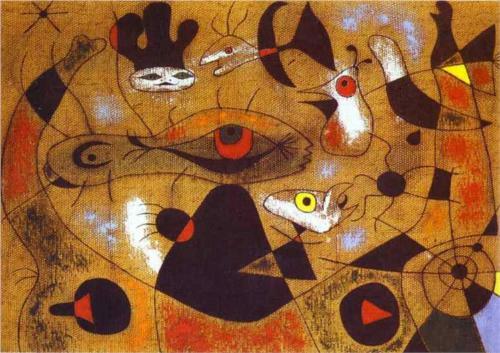 I have a affection for the childlike surreal world that Joan (hoh-ahn) Miró created. His lyrical lines and beautiful forms and color appeal to the pre-schooler to the grandparent. 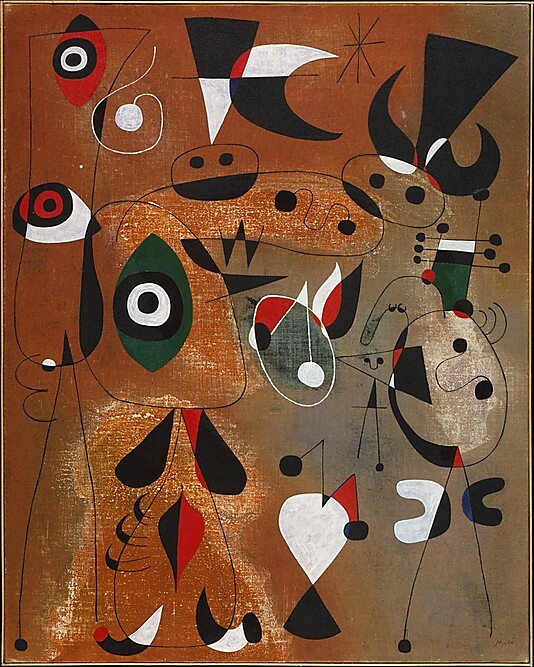 Miró talks to everyone. His inclusion of animals has always interested me. Dogs, cats, and birds move about his works regularly. Today I will feature some of his works with birds. 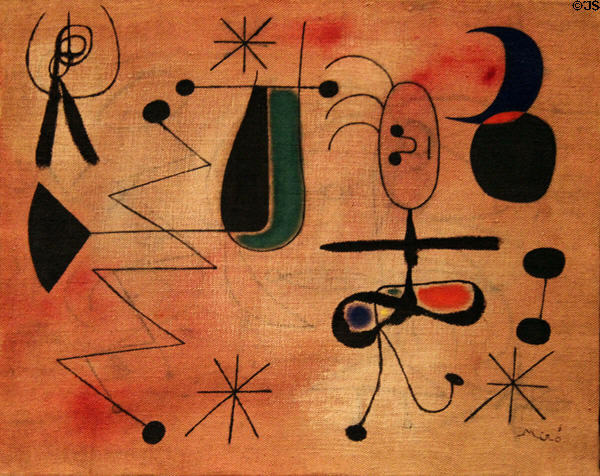 First up, is the first Miró that I ever featured and probably one of my favorites. A bird is flying around the arch nemesis, the cat. And I am ending with a painting whose title is one of the best that I have ever run across! 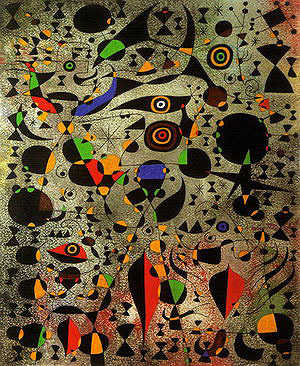 May you have a Joan Miró week, lyrical and magical. 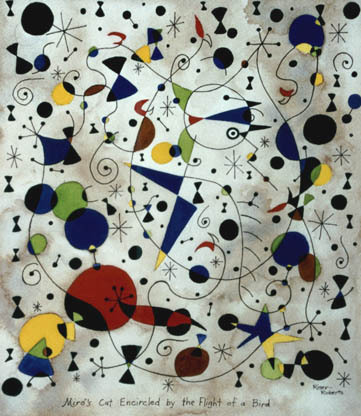 Here is the link to my original article featuring Joan Miró.